Investment banks in Asia are facing a reduced deal pipeline and slashing their fixed-income, currencies and commodities units. But a flurry of small-scale Chinese IPOs in Hong Kong could add cheer to 2013. People’s Insurance Company of China’s initial public offering in November was Hong Kong’s largest for 2012, and the world’s fourth-largest at $3.1 billion. As big and lucrative as it was, the city’s investment bankers now view it with a kind of nostalgia—it smacked of the end of an era. It wasn’t just that Hong Kong’s IPO magic ebbed in 2012, although ebb it did: There were 62 IPOs in Hong Kong last year, raising $11.6 billion — down from 90 new listings, worth $35 billion, in 2011, according to accounting firm Deloitte. It was also that the IPO of state-owned insurance conglomerate PICC is likely one of the last mega-IPOs in Hong Kong of Chinese state entities. “We’re going to see fewer and fewer of these types of deals,” says Paul Lau, audit partner for KPMG China’s capital markets unit. 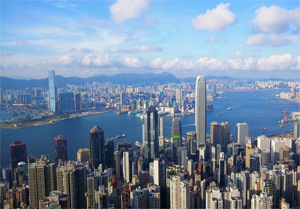 “About 90% of the major state-owned majority companies have already listed in Hong Kong. The IPO market will now be driven by privately owned enterprises attracted to Hong Kong as the mainland relaxes regulatory constraints on H-share [shares of companies incorporated in mainland China but listed in Hong Kong or elsewhere outside China] issuance.” H shares are denominated in Hong Kong dollars and traded in Hong Kong but are subject to mainland Chinese regulatory rules. As if not to miss the going-away party, the PICC deal set a record for the number of banks leading and underwriting a deal in Asia—a group of 17 that included not only the usual high-powered suspects like Goldman Sachs, Credit Suisse, HSBC, Bank of America Merrill Lynch and Morgan Stanley but also the substantial presence of Chinese banks with growing clout, including China International Capital Corp, Agricultural Bank of China International and Bank of China International. Some bulge-bracket bankers groused that the crowded IPO was a bad precedent: Too many banks reduced participants’ incentive to serve the customer, which led to petty dust-ups. Bankers in Asia are putting on a brave face amid changing conditions in all banking sectors. The best, of course, are adapting. UBS, which has slashed its investment banking workforce globally, has only made minor cuts in Asia, where it ranked number one in IB revenues for 2012 for Asia ex-Japan, ahead of Credit Suisse and JP Morgan, according to Dealogic. 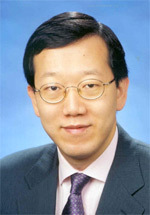 David Chin, who heads investment banking for UBS, has confidence that 2013 will be a lucrative year, with a caveat or two. “IPOs won’t be the game for this year. Investors are a bit cautious, although we could see a slight improvement.” One exciting area, says Chin, is stock placement, which saw two major deals the first week of this year. “And there’s more rotation. New money is coming into the funds.” Those two early-year deals are worthy of note for their size. On January 6, UBS priced a secondary share sell-down of $276 million, or roughly 375 million shares, of Far East Horizon on behalf of Sinchem. The next day, UBS priced a similar sell-down of $796 million, or 204 million shares, of China Pacific Insurance Group for Carlyle. However, for many investment bankers, the woes have simply piled on: They include declining fee businesses, greater competition, staff cuts and a shrinking IPO pipeline. These exigencies come amid mounting regulatory pressures that have led to heightened capital demands—an ongoing legacy of the global financial crisis. As a result, many investment banks have been forced to slash their fixed-income, commodities and currencies (FICC) businesses everywhere, not least in Asia. The lion’s share of money made in FICC units comes from trading over-the-counter commodities derivatives, but a mixture of the Basel Committee’s higher capital requirements and a slack market has eroded margins in business globally. UBS led the exit in October, when it announced it was shutting most of its global fixed-income business and devoting its remaining FICC investment banking capability to private clients. Citi and Deutsche Bank followed by slashing their FICC in Hong Kong. Credit Suisse in Singapore sheared its FICC division as well. Asia, of course, is simply facing the same pain as other regions. The difference now is that following the global collapse in 2008, the region was considered a haven of growth and investment banks retained or built staff in certain areas. But now Asia is no longer immune to the axe. In September, Roland Berger Strategy Consultants estimated that investment banks would have to shed approximately 75,000 jobs globally. This could translate into more than 11,000 jobs from Asia, if the region’s share of total investment banking income is assumed to stand at around 15%. One indisputably bright area for Asia’s investment banks has been debt capital markets. DCM bankers emerged from 2012 with smiles earned from a record year in the region. Bonds issued in Asia ex-Japan amounted to $1.1 trillion, with 4,741 deals. The lead bookrunners in the region were HSBC, China Development Bank Corp and UBS, according to Dealogic. Low interest rates globally have been the driver of the hot Asian bond market, but the low rates have bequeathed an environment of tight credit spreads, leaving little room for them to tighten further, which will the market less attractive to investors. As equity markets improve, there will be less incentive for companies to raise capital via bonds. Meanwhile, the warhorse fee earner of Asian investment banks — the IPO market — was down substantially across Asia ex-Japan to $37 billion total in 2012 and at its lowest level since 2008, according to Dealogic. But there is still business to be done, and ECM bankers are not exactly writing off the lucrative IPO market. Jonathan Penkin, head of equity capital markets for Asia ex-Japan at Goldman Sachs, says: “The first half of 2013 is likely to be relatively quiet for IPOs. Overall, we expect to see some deals get done, but investors will be selective and value-sensitive.” He also expects a significant pickup in Chinese IPOs executed in Hong Kong. But that won’t reflect the giant state-linked company IPOs of Hong Kong’s recent past. Instead, KPMG China’s Lau believes, midsize companies in China will provide the next, more modest wave. In December, according to Lau, the China Securities Regulatory Commission announced that it would ease the so-called “four-five-six threshold” for listings in Hong Kong. That threshold states that mainland companies listing in Hong Kong must have Rmb400 million ($64 million) in net assets, $60 million (Rmb311 million) worth of capital and Rmb60 million worth of net profits a year. The threshold effectively blocks most companies other than big state-owned firms. “We expect to see a lot more IPO activity,” says Lau, once the CSRC releases more details on the new threshold, which is expected early this year. According to Lau, more than 800 firms are in the pipeline for IPOs in China. As rules ease, many investors will be drawn to the H-share market. That will please Hong Kong’s forlorn global investment bankers, but they will have to contend with new competition from China. 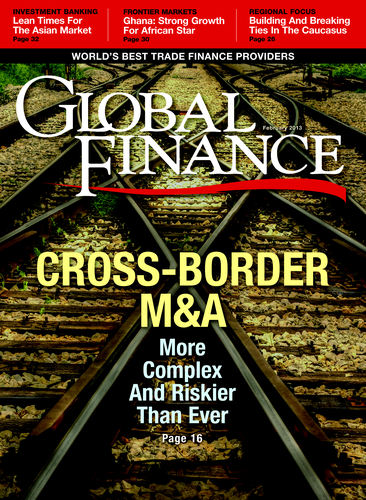 The world of the PICC deal—with a mounting number of Chinese banks on the deal list—is the new reality, and many domestic firms will have the hometown edge. Nostalgia isn’t what it used to be.